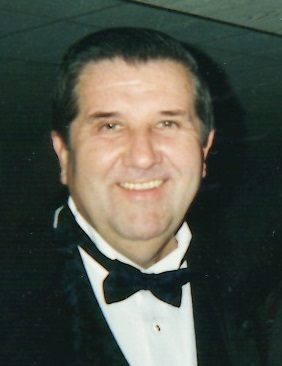 Obituary for Frank J. Larnaitis | Shore Point Funeral Home and Cremation Services, Inc.
Frank J. Larnaitis, 75 of Hazlet, New Jersey passed away peacefully on March 16, 2018 at Bayshore Medical Center in Holmdel, New Jersey. He was born on February 10, 1943 in Brooklyn, New York. He moved to Staten Island in 1968 and than settled in Hazlet in 1974. He was a proud veteran of the United States Army. Before his retirement he worked as a truck driver for Scholastic Book Fairs in Cranbury, NJ. He was predeceased by his parents Anthony and Helen Larnaitis, and his beloved wife, Ellen H. (Schaaf) Larnaitis. Frank is survived by his loving children, Scott J. Larnaitis and his wife Kim Ellen of Hazlet, New Jersey and Craig Larnaitis and his wife Toni-Ann of Hazlet, New Jersey and his cherished grandchildren, Rebecca, Hope, Jordan, Erin and Dylan. Frank will be greatly missed, but never forgotten. Family and friends are invited to visit on Sunday, March 18, 2018 from 5:00 PM to 9:00 PM and Monday morning March 19, 2018 from 10:15 AM to 11:15 AM at the Shore Point Funeral Home and Cremation Services, Inc., 3269 State Highway/Route 35 North, Hazlet, New Jersey 07730. A service will take place on Monday, March 19, 2018 during the visiting hours. Burial to follow at St. Joseph Cemetery, 360 Broadway, Keyport, New Jersey. For information, directions, or to send condolences to the family, please visit, www.shorepointfh.com.